This report will display Activities information by units and faculty members within those units. 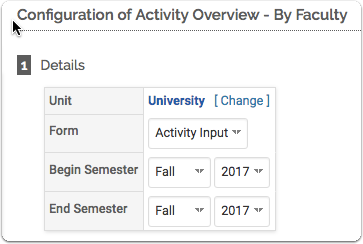 Navigate to the Activity Overview - By Faculty report via the Administration button, with the proper privileges. 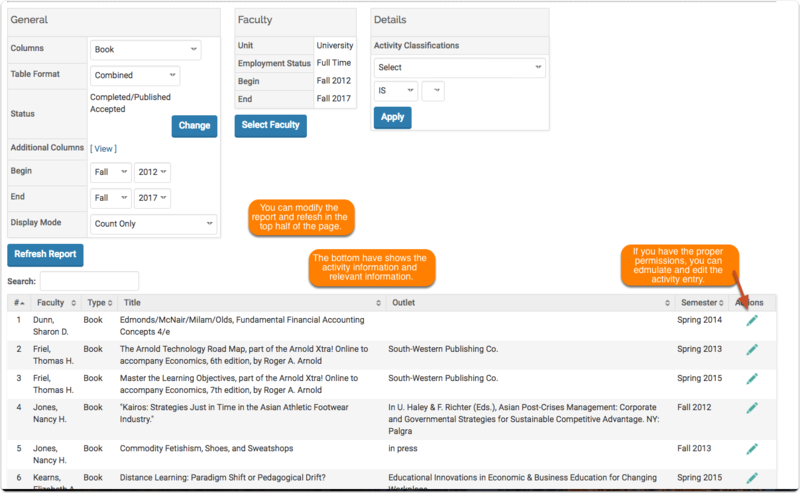 The fields that are displayed may vary per institutions setup. 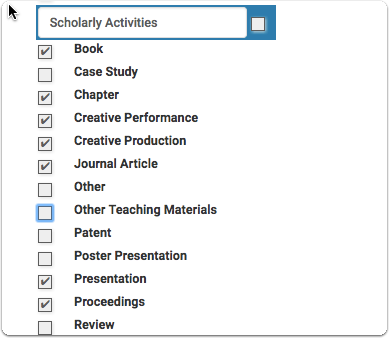 In the Details section, users can choose the relevant unit, form, and date range. The data section is where users can choose what information you want to display. By configuring the data sections, reports administrators are able quickly generate reports for decisions and analysis and to also bring out trends. 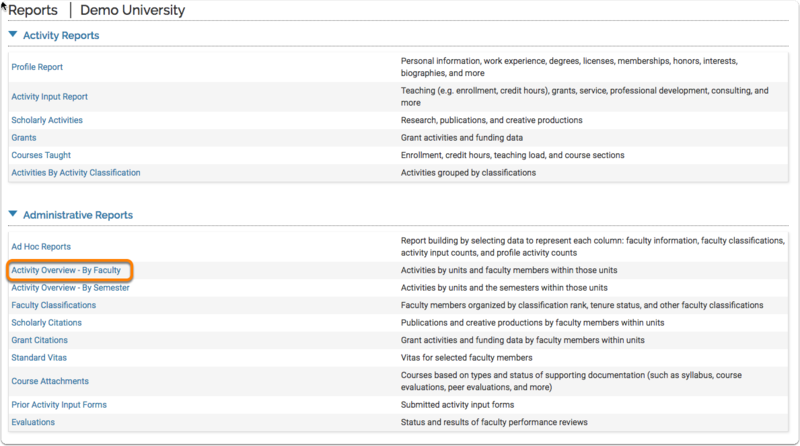 This example will display a report the following settings selected as well as the # of faculty per unit. Once a user runs a report, they will have more options available to configure and change the display the of the information. 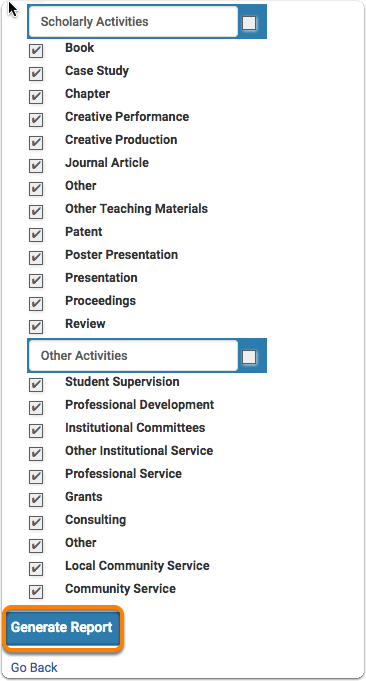 For instance you can add Activity Classifications to filter by.or choose additional faculty members.